As Monday’s blog pointed out, gold bugs are currently juggling multiple economic and geopolitical indicators that are affecting the gold price, one of them being U.S. interest rates. The Federal Reserve is meeting on Tuesday-Wednesday of this week and is expected to announce a raise in short-term interest rates, which have been at near-zero levels since December 2008. Interest rates affect many markets, whether it be stocks, bonds, mutual funds, currencies, etc. Their relationship with gold, however, is more complex and controversial. Below we have laid out what we believe gold buyers should know about the relationship between gold and interest rates. In other words, higher interest rates mean higher profits on interest-bearing investments such as bonds, CDs, and money market funds. 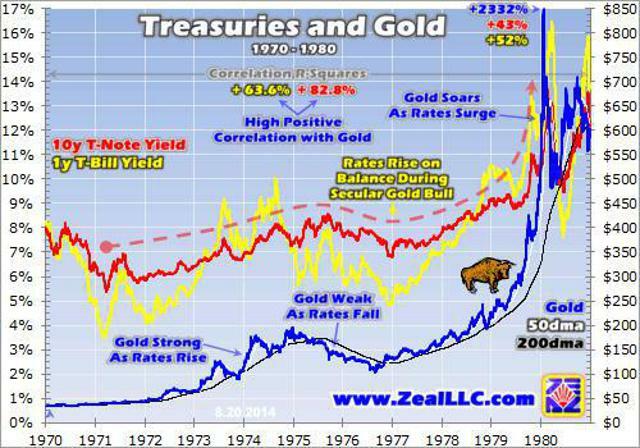 Gold and other precious metals are not interest-bearing, so higher interest rates shift money over to the stock market and away from gold. But has this been true in the past? Is there any statistical evidence for this claim? Therefore, higher interest rates do not necessarily spell out bad news for gold – on the contrary, they can even be good for gold. Past performance is not indicative of future results, and popular opinions based on fundamental analysis are often contradicted in the markets. With the next Fed meeting nearing completion, it is easy to get wrapped up in the hype around interest rates and the effect they may have on gold this time around, but keep in mind that it is nothing more than speculation. 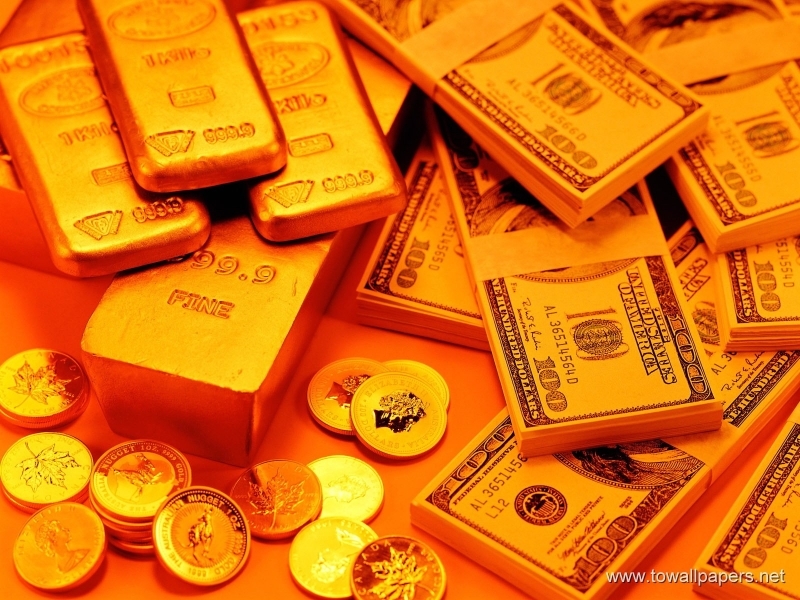 No one can predict the future for any asset, and there is nothing wrong with this fact since gold’s primary purpose is to serve as long-term financial security. To learn more about the benefits of owning gold and how you can add it to your retirement portfolio, call American Bullion at 1-800-326-9598 to speak with an agent about opening a Gold IRA.